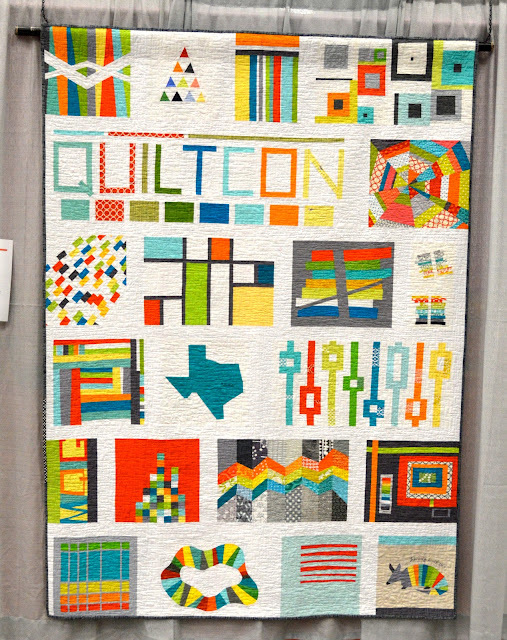 Lady Harvatine: QuiltCon Wrap Up Part 1: The Quilts! I returned home from Austin Sunday night and I'm still riding high on a weekend full of amazing quilts, wonderful friends and incredibly talented and inspiring people. A lot of people worked incredibly hard to put together this event and they all deserve a huge thank you. It was an unbelievably awesome convention and I am so excited to go again in 2015. 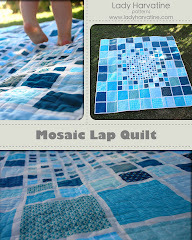 I want to do a big QuiltCon wrap up so I'm going to split it up over several (five?) posts so you don't get too overwhelmed. I hope that anyone who couldn't make it can look at these photos and read what I have to say and feel a little inspired and not too sad. I know there are a lot of you out there who were bummed to be at home this past weekend. Well I'll tell you now, it was completely worth the trip so start saving your pennies and making plans for 2015! I want to see you there! 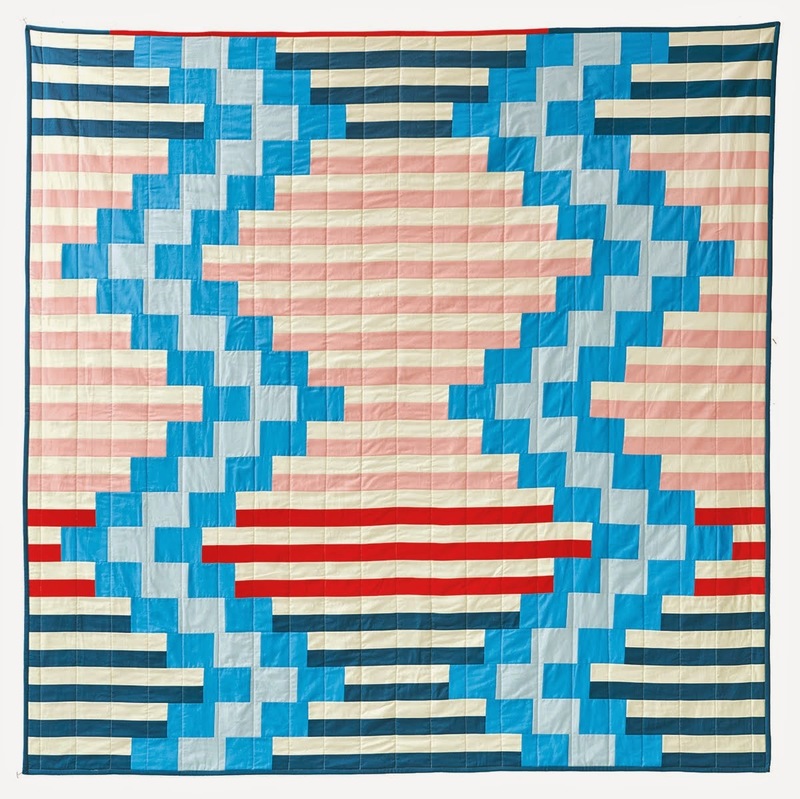 Let's dive right into the main event: the quilts! 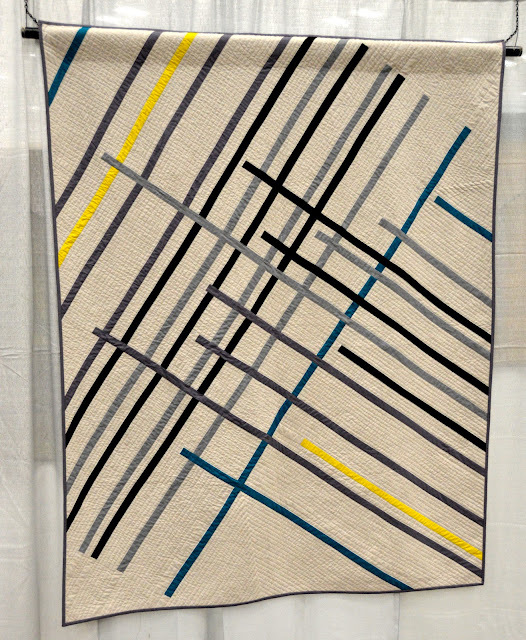 It was so great to be able to walk through a quilt show where everywhere you turned there was something beautiful and inspiring rather than trying to seek out any little bit of modern design amongst the hoards of traditional quilts. 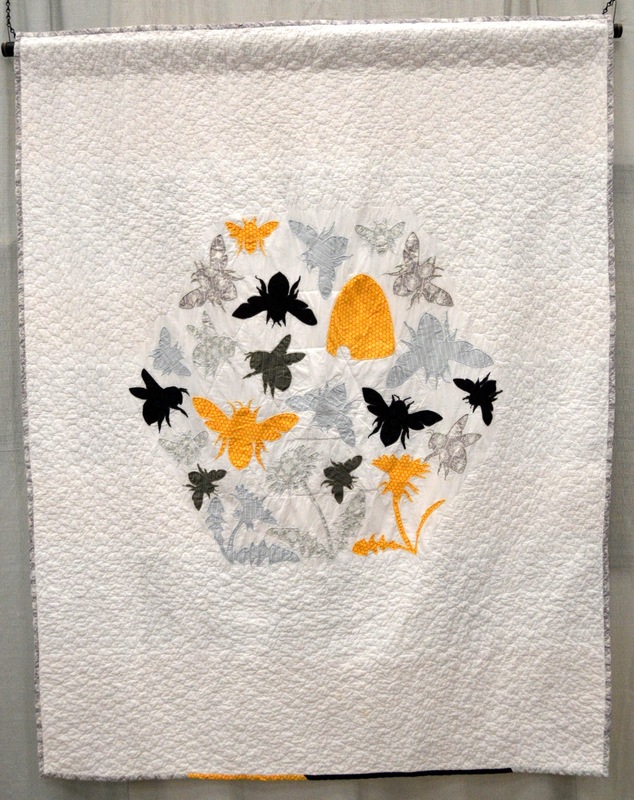 These photos are just a small number of the quilts in the show. Looking back through my photos I've realized I was a little too lax in my photo taking because some of my favorites aren't here, including some incredible quilts by my friends and guild members! So if you want to see more than I have here I guarantee there are millions of photos that are yours for the browsing on flickr, instagram and elsewhere. 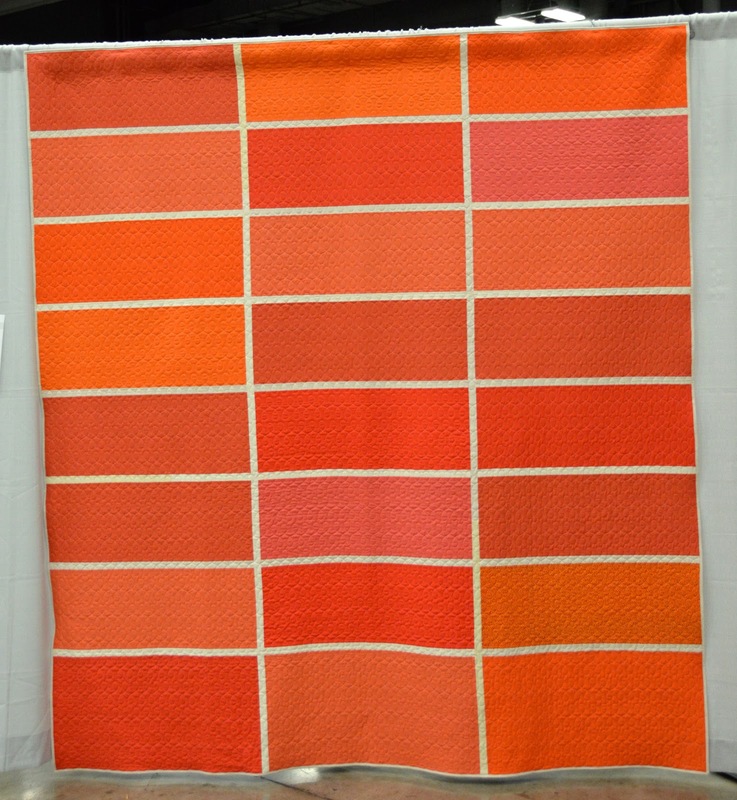 One of the first quilts you saw when walking into the main hall was the QuiltCon raffle quilt. I'm sure you've seen this one around the internet. The blocks were chosen from all of the ones submitted for the MQG challenge and the blocks that weren't chosen were put together to make 46 quilts for all of the beds at the Austin Children's Shelter. Those quilts were on display in the lecture hall and it was pretty amazing to see them all up there together. The center of the hall had an amazing display of Denyse Schmidt's quilts. I know it's not news to anyone that Denyse is an incredibly talented designer and I'm sure it's no surprise that she has been at the top of the list of quilters I admire from the very beginning. Seeing her work in person was truly inspirational. Unfortunately I didn't get the names of all of these. This is a detail shot of the quilt above. Denyse had several quilts on display that had the selvedge edge worked into the quilt top in this way. I thought it was such a beautiful detail. Now for the rest of the show! This next quilt was the best in show, a very cool, modern take on a double wedding ring pattern. 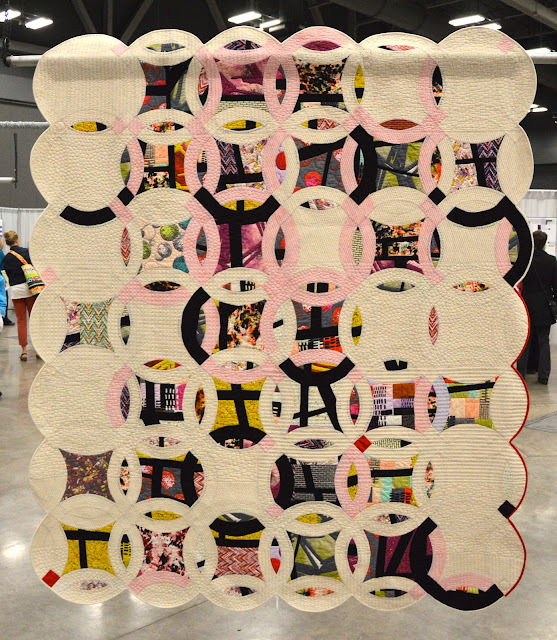 Double Edged Love, made by Victoria Findlay Wolfe and quilted by Lisa Sipes. 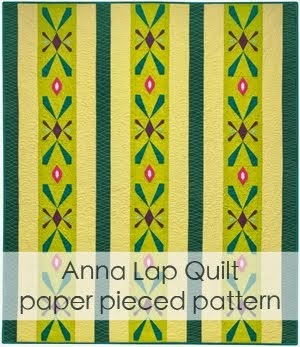 I really loved the quilting on this one. I don't think it has quite the same effect in the photo as it did in person. 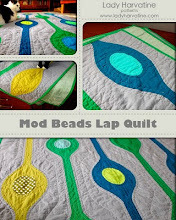 The quilter used multiple colors of thread, pulling from the palette in the fabrics. I'd love to try this sometime. 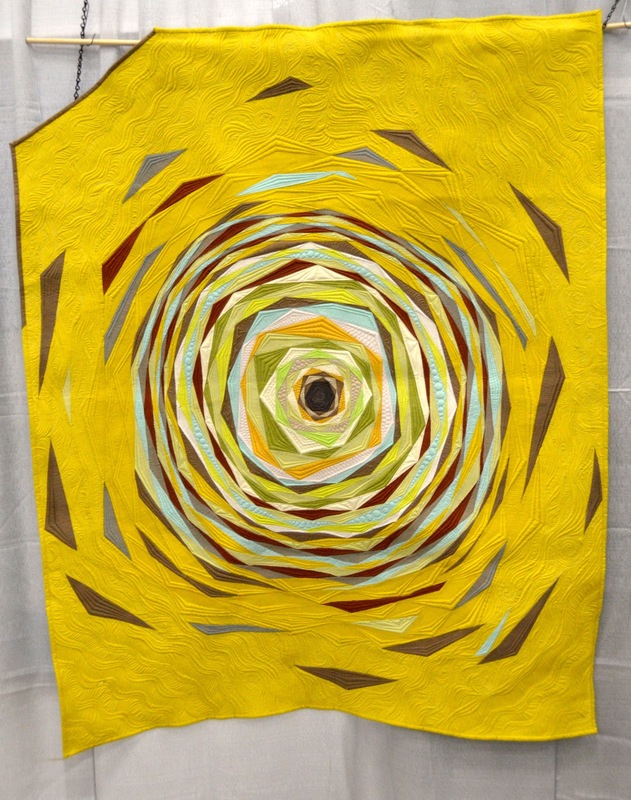 This quilt won Judges Choice and second place in the Handwork category. I loved the little bits of different red fabric. This quilt was made by my good friend Alissa Haight Carlton and I got to see it at multiple stages of completion. It really came out incredible! These are far from my only favorites from the show but they're definitely a good start. I will share more highlights from Austin soon! Nice selections! Those were some of my favorites too!